There is evidence of human habitation in Agrigento since before the Mesolithic era; a female skull found in the province is 500,000 years old! The city of Agrigento was founded in 582 BC by colonists who were the descendants of Greeks. 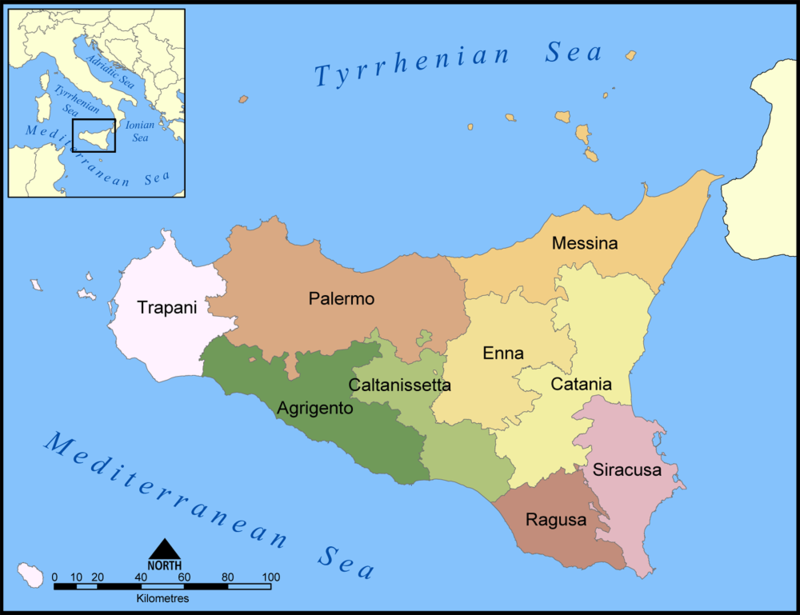 Despite having a long history, Agrigento has a young name: orignally named Akragas, it was called Agrigentum by the Romans and Girgenti by the Saracens; the name Agrigento was only given to the area in 1927. During the Punic Wars between Carthage and Rome, Agrigento was devastated several time but always rebuilt. During the Byzantine and Saracen rules of Sicily, the province of Agrigento was largely ignored, but the Normans realized the potential of the city and constructed many beautiful churches and cathedrals. In 1860, the people of the region were enthusiastic supporters of Garibaldi's campaigns to expel the French from Italy and subsequently unite the country. In the city of Sciacca, fishing is very important; authentic working ports are everywhere and the seafood is among the world's best. Anchovies, a sea bream-like fish called luvaru, sardines, mussels, cuttlefish, octopus, periwinkles and squid are available in the markets and at restaurants. Whether breaded and fried, grilled, stuffed, baked or stewed, seafood is the way to go in Sciacca. Farming abounds in the area, so fresh fruits are abundant and a great dessert choice. Lemon granita is a popular and refreshing dessert and apertif option as well. Granita is a classic Sicilian dessert, a blend of water and fruit juice or syrup that is frozen and ground up, rather like a slush. It is popular throughout Sicily and southern Italy, but flavor preferences vary from town to town. Popular choices include coffee, lemon and almond. In Agrigento, lemon and almond are dominant. The best preserved Greek ruins in the world are NOT in Greece; they are in Sicily! The Valley of the Temples in the town of Agrigento has ruins that date to the 5th century BC. More wonderful Greek ruins are in Eraclea Minoa, which is where the legendary King Minos of Crete was killed. The entire province is an archaeologist's dream! No fewer than six major sites have revealed glimpses of ancient life. For those inclined to relax and revive, Sciacca is the first and oldest spa town in Sicily. The whitewashed buildings and nature of the architecture give the town an Arabic look. The geysers originate from an underground hot water spring flowing beneath Mount Kronio. The vapors come to the surface along the fissures of the rock, and reach 104 degrees F. These therapeutic waters are credited with healing a range of illnesses and conditions. Visitors to the city of Agrigento in January and February also have the chance to atted the annual Almond Blossom Festival..